Nikki Carr is a deliciously silly and hilarious comedienne. Most recently known as the charismatic runner up on NBC's 2014 season of Last Comic Standing, she propelled her way through the competition with quick and effective wit, hilariously relatable anecdotes, and the courage to laugh in the face of all the things she could cry about. Her trials and tribulations as a woman, mother, grandmother and lesbian provide rich comic material. 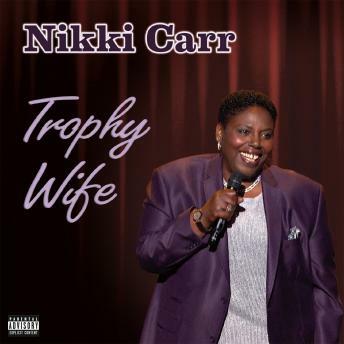 Born and raised in Bronx, NY, Nikki Carr spent her early life gearing up for her rightful place as a headlining comedian. As a "very silly child," Nikki Carr's mother accepted and nurtured the performer in her. Entertaining and making others laugh came naturally. These gifts became her expression of happiness and love. When Carr started seeing shows like Def Comedy Jam, she realized she had found her calling, and at 34 began her comedy career at the New York Comedy Club. About her start, Carr says, "[I] decided that being funny is all I've ever really known how to do! Now you can get on TV for it? My very first show ended in a standing ovation! I gave myself five years to get onto TV. I did it in three. Then I just continued to do comedy because I love it and people enjoy and love and PAY me because of it!" In 2000, Carr made her television debut on BET's "Comic View" and hasn't let up. She has been on Martin Lawrence's "1st Amendment Stand Up", Showtime's "Stand Up for Family" and "One Mic Stand" with Kevin Hart to name a few. She can be seen in the movies "Golddigger Killer", Dynasty Pictures' "Change the Game" and Charlie Murphy's "Crash Comedy". Spending the end of 2014 touring the country on the "Last Comic Standing Tour", Nikki Carr has hit a smooth stride. Her best is yet to come.